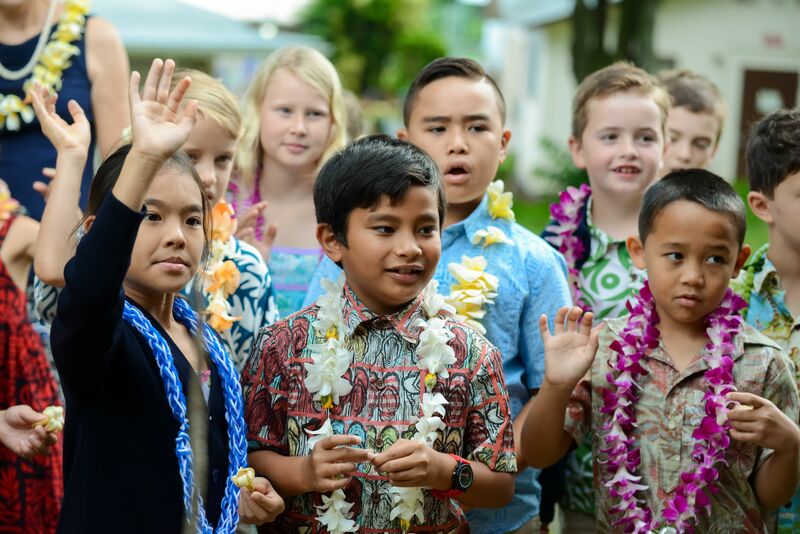 The first entry point for students seeking admission to Trinity Christian School is at Pre-Kindergarten, with additional positions in Junior Kindergarten. All preschoolers are accepted on a provisional basis. Admission to Kindergarten through 12th Grade is on a space available basis. Enrollment is offered first to students currently enrolled in Trinity Christian School. Admission priority is extended to qualified children of Trinity Presbyterian Church members. When enrollment is full, a wait-pool may be established. Applications are accepted beginning in September for the following school year. An admissions appointment will be scheduled with the Principal of the appropriate campus (Mauka Campus/Preschool – 3rd Grade and Makai Campus 4th – 12th Grade) upon receipt of the online application, a non-refundable and non-transferable application fee and the required documents listed below and on the reverse side of this page. Informational tours are arranged by calling our admissions office. Applicants 2nd through 8th grade are required to take the following classes offered in our Summer Advantage program. Parents will need to make other arrangements if their child is unable to attend. Trinity Christian School seeks families who desire a Christian education and admits students of any race, color, national or ethnic origin to all the rights, privileges, programs and activities generally accorded or made available to students of the school. It does not discriminate against students on the basis of color, race or ethnic origin in the administration of its educational policies, admission policies, tuition assistance and other school administered programs, as provided by Federal and State laws.Trinity Christian School operates within our Federal and State laws to follow ADA laws and accepts students with disabilities within reasonable boundaries. Applicants with a disability may be admitted provisionally after thorough screening with the student, parents, and health care consultants. The Campus Principal and Academic Dean must concur that the applicant’s overall needs can be met at our school without undue hardship to the student, staff or total environment. Trinity Christian School offers Home School Extension (HSE) classes to students entering grade 7 through grade 12 to support the home school community. Admission priority is given to current Trinity students and qualified children of church members. Applications are accepted beginning in April for the following academic school year. A family appointment will be scheduled with the Secondary School Principal upon receipt of the on-line application, a non-refundable and non-transferable application fee and the required supplemental application forms as outlined below. Trinity Christian School accepts applications for secondary students on a part-time basis in the Home School Extension classes. Enrollment is limited to three credits per school year. Qualified students are accepted upon availability. The HSE student and their parents will follow the same admission procedures as a full-time student applicant. Ready to apply? 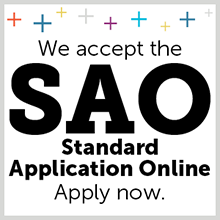 Click here for a link to our application. Parents of Pre-Kindergarten applicants will be notified of their child’s observation date by the end of January. Parents of Junior Kindergarten applicants will be notified of their child’s observation and assessment date by the end of January. Parents of Kindergarten applicants will be contacted by the end of January to schedule their child’s assessment appointment. Parents will need to register their applicant for the Admission Assessment for Beginning Learners (AABL) with the Educational Records Bureau (ERB) – Admission.ERBLearn.org with school code: 570027. The cost for this assessment is $65.00. Parents of Grade 1 applicants will be contacted by the end of January to schedule their child’s assessment appointment. Parents will need to register their applicant for the Admission Assessment for Beginning Learners (AABL) with the Educational Records Bureau (ERB) – Admission.ERBLearn.orgwith school code: 570027. The cost for this assessment is $65.00. Parents of Grade 2 – Grade 6 applicants will be contacted by the end of January to schedule their child’s assessment appointment. Parents will need to register their applicant for the Independent School Entrance Exam (ISEE) with the Educational Records Bureau (ERB) - Admission.ERBLearn.org with school code: 570027. The cost for this exam is $120.00. Parents will need to register their applicant for the Secondary School Admissions Test (SSAT) – www.SSAT.org with SSATB School Code: #7732. The cost for this exam is on their website. When the required documents have been submitted an admissions appointment with the Campus Principal, parents, and student will be scheduled. When parents of an HSE student requests full-time student status, they will need to register their student for the Secondary School Admissions Test (SSAT) – www.SSAT.org with SSATB School Code: #7732. The cost for this exam is on their website. Ready to start an application? Click here to create an account with us.